Konnichiwa and welcome to CraftBeerAsia’s Japan section. We’re building a directory of craft breweries, brewpubs, taphouses, and other businesses; a listing of news and upcoming events; as well as a catalog of articles, reviews, previews, and interviews by our writers as well as links to external sites. In short, we want to be EVERYTHING craft beer in Japan, all in English. Navigate our menu at the top, or click the links below for resources. 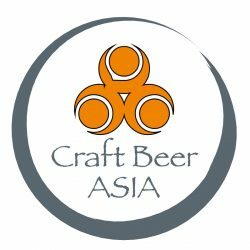 If you’d like to be a contributor to our Philippines section, please email cheers@craftbeerasia.com or message us on Facebook. Beer in Japan | An interactive map and directory for beer spots in Japan. They also have a Facebook Page. Kansai Beer Lovers | A Facebook page dedicated to beer people in Kansai area. Craft Beer Association | The Craft Beer Association in Japan with information on events throughout the country. I’ve entered the mythical lair of @biringan.acbc here in Manila. #craftbeerph #craftbeer Some amazing beers featuring mythical characters from The Philippines. This is one cool spot!! !